Whether it’s risk assessment or fraud detection, exploiting location data enables financial service organizations to make smarter decisions and predict the future. Leading insurance companies want to put spatial analytics at the centre of their Risk Assessment - empowering business users to leverage location in underwriting risk. 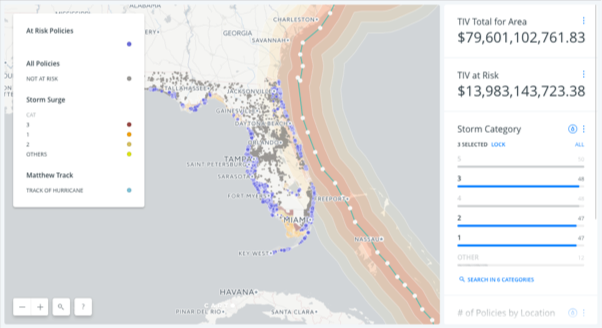 CARTO Builder makes it easy to bring together a wide range of internal and external geolocated datasets including weather, demographic and socioeconomic data. 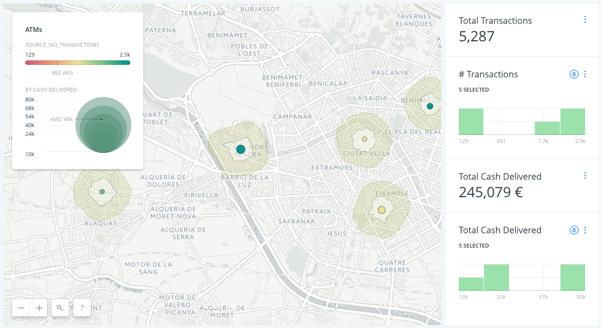 This allows more lending with lower risk using Location Intelligence. Measure and predict risk ahead of time. Optimize your insurance underwriting, perform modelling around location and diversify your portfolio by analyzing your capacity more efficiently. A rapidly growing number of banks and insurance companies now have Chief Data Officers - whose mission is to monetize data both internally and externally. 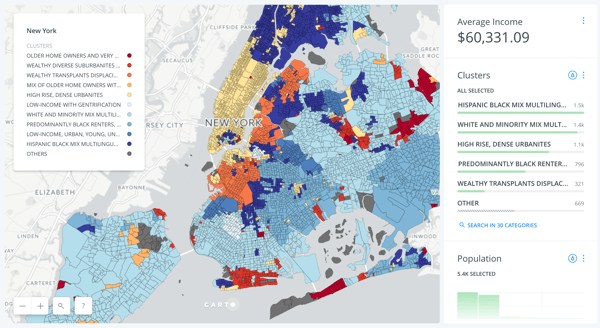 Using spatial analytics to extract insights from the large volumes of location data created in the Financial Services industry is crucial for CDO's to succeed. Analyze, target and acquire new customers using demographic and socioeconomic spatial analytics to boost your market share. Make your campaigns more data-driven, accelerate your conversion rates through location and find new opportunities to boost revenues.